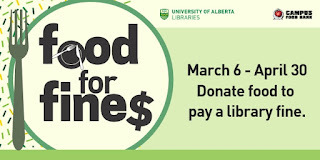 In partnership with the Campus Food Bank, University of Alberta Libraries will be running a Food for Fines Campaign and Food Bank Drive at all library locations from March 6th until April 30th, 2019. 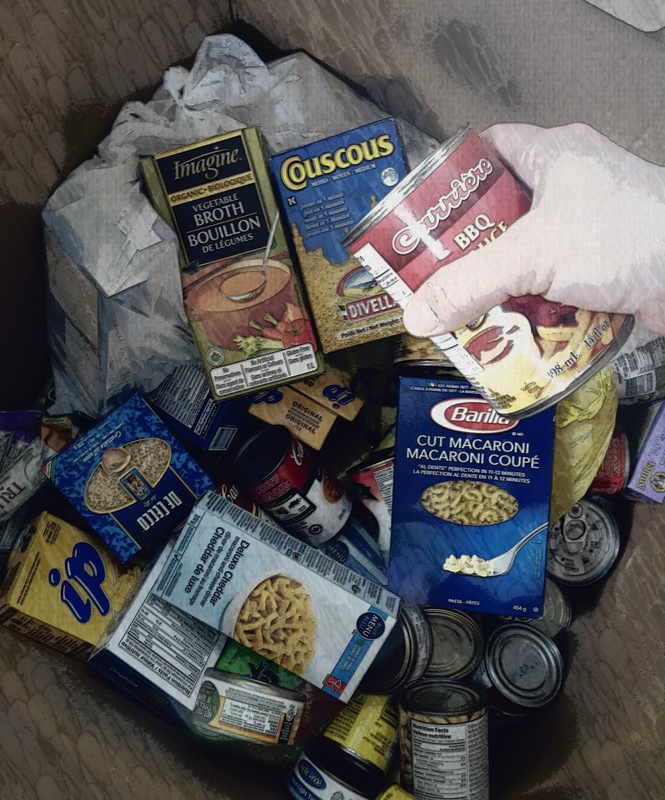 All donated food items will be distributed to members of the University of Alberta community, and monetary donations will be used by the Campus Food Bank to purchase more food for distribution to the community. Visit a service desk in any UAlberta Library location. 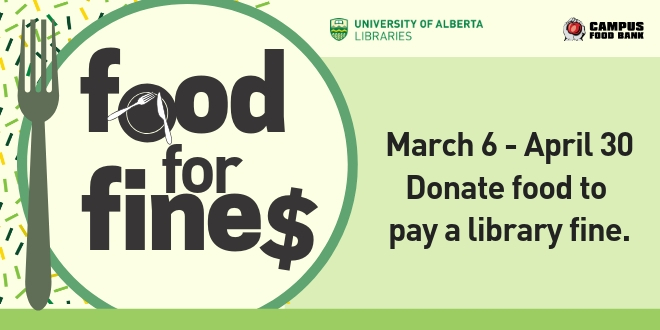 Only current fines on UAlberta items and books from participating NEOS Libraries will be waived (books from MacEwan and Olds College not eligible). Charges for lost or damaged books are not eligible. No fines? Donate a food item anyway! New this year: you may also choose to make a monetary donation to the Campus Food Bank as part of the Library Food For Fines Campaign. How does it work? Make your monetary donation online : campusfoodbank.com/ using the Library Food for Fines Donation Form. IMPORTANT: For your library fines to be waived, you must include the 13-digit barcode from your ONECard / library card. By submitting the donation form, you give the Campus Food Bank permission to share your name, barcode, email address, and donation amount with the UA Libraries. For every dollar donated to the Campus Food Bank, you will be waived the same amount in overdue library fines, to a maximum of $100. Only current fines on UofA items and books from participating NEOS Libraries will be waived. Fines on MacEwan and Olds College books are not eligible. Charges for lost or damaged items are not eligible. Please ask for details at a library service desk.